I’m sure at some point, all kids on horseback swing a leg over and pretend to be riding side-saddle, awkward though it may be without a properly shaped saddle to allow it. I’d love to try it properly one day. Though perhaps I wouldn’t actually find it easy! The majority of side saddles have your legs on the near side (the left), naturally, so perhaps that’s not ideal for someone whose right hip flexor has been shortened through years of a sit-down job. Or perhaps that wouldn’t matter, you’d just need to put more thought into maintaining your joints. I have an inkling that side-saddle would work best if the rider were rather light relative to the horse. And balanced too, of course. But I think this may be more of a concern when riding aside than usual. We’re always thinking about symmetry and balance on horseback, but a side-saddle instantly messes that up slightly. At least, it seems to, perhaps it is a more subtle discrepancy than I imagine. 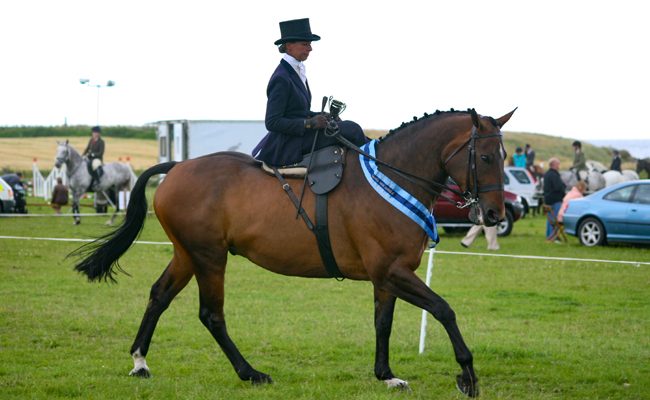 And if one watches side-saddle, the rider’s seat always seems to be slightly further backwards than normal too. Not quite on the loins (which would be a bad idea), but certainly a lot closer to them. If most dressage wants you sat well forwards and deep in the saddle, what does it mean to the horse if you’re perched asymmetrically and further backwards? 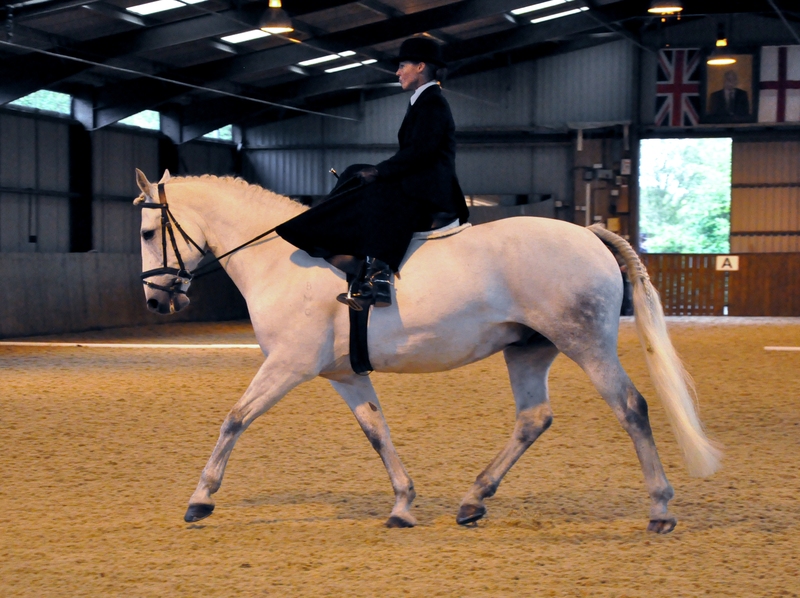 I asked on a facebook group about it once… Can side-saddle compromise straightness? Or even be seen as a “proof” of straightness after initial schooling? Answers were varied, as you’d expect. Some people begin with astride, others teach the horse aside from the start. I’ve read that in the past grooms might have ridden with off-side side-saddles, to ensure the horse was worked evenly from both sides. They also apparently had side-saddles in the cavalry, to enable amputee soldiers to work again. And thus, those saddles had to be made for both directions to accommodate lost legs on either side.